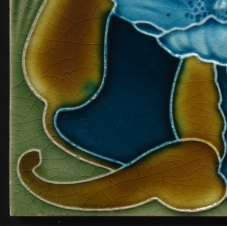 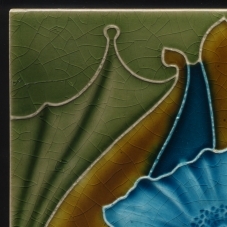 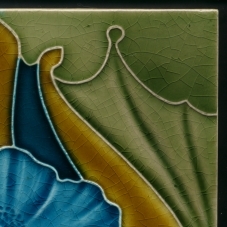 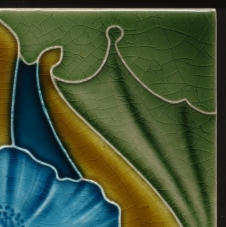 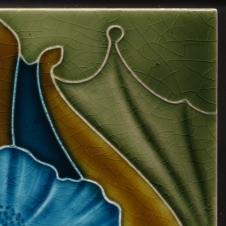 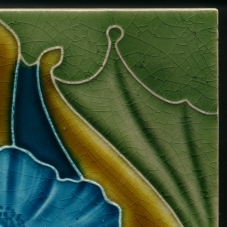 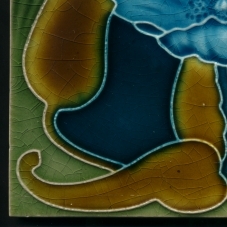 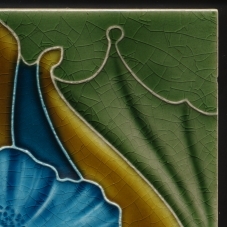 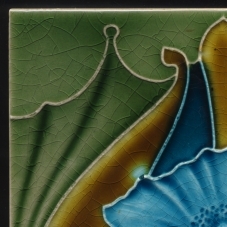 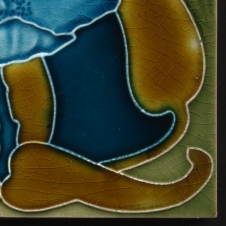 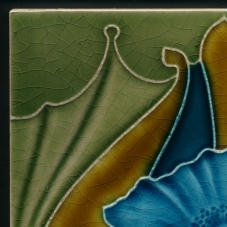 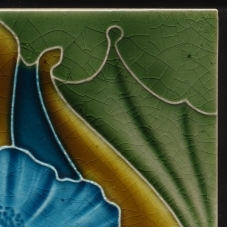 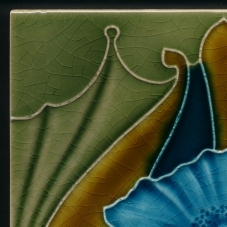 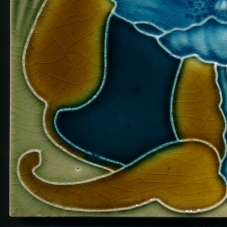 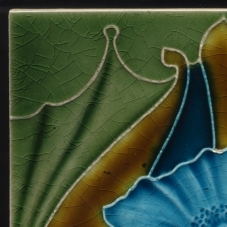 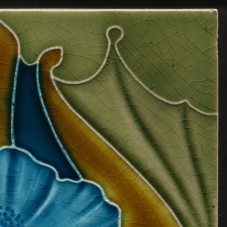 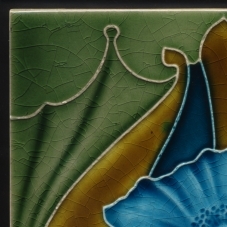 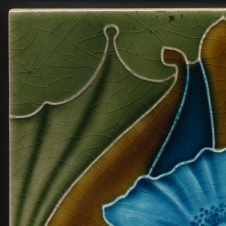 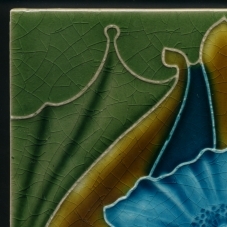 An infrequently found tile which brings to mind am-dram, a persian turquoise pansy against a cobalt blue background taking a bow between curtains. 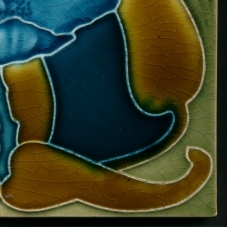 Minute chip to the outline. Minute chip to the outline, manufacturing flaw bottom left edge.